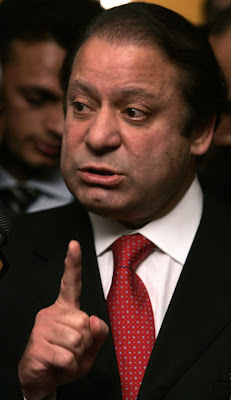 Mian Muhammad Nawaz Sharif, He was twice elected as Prime Minister of Pakistan, serving two non-consecutive terms, the first from November 1, 1990 to July 18, 1993 and the second from February 17, 1997 to October 12, 1999. 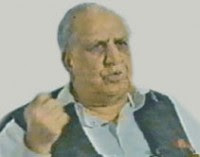 Naseerullah Babar, had disclosed in the National Assembly in 1994 how the ISI had disbursed funds to purchase the loyalty of politicians and public figures so as to manipulate the 1990 elections, form the IJI, and bring about the defeat of the PPP. Have all our generals been upright men and played it right? Of course, yes. Otherwise would they have ended up the way they did? Ziaul Haq? Governor, rich General Fazle Haq? How about dubious politician, rich General Aslam Beg, Lt General Javed Ashraf Kazi first chief of the MI and then of the ISI, Nawaz's ISI chief, General Javed Nasir, sacked by General Waheed Kakar, General Asad Durrani of MI and ISI fame, summarily sacked by General Kakar, rewarded and re-employed by Benazir as her ambassador in Bonn, and dangerous politician, the firebrand fundo General Hamid Gul. On April 25, 1994, [Daily Dawn] carried an editorial entitled 'Our secret godfathers', which opened up: "Two basic points emerge from General Aslam Beg's admission that in 1990 he took Rs 14 crores from the banker Younus Habib and that part of this money was spent by the ISI during the elections that year . . . . . ". And closed, saying ". . . it is time now for some sort of check on the rogue political activities of our intelligence agencies . . .". It was not time, and apparently it is still not time. 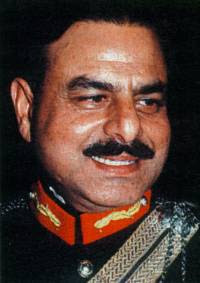 In 1996, Air Marshal Asghar Khan filed a human rights petition in the Supreme Court against General Mirza Aslam Beg, former chief of army staff, Lt General Asad Durrani, former chief of the Inter-Services Intelligence, and Younus Habib of Habib Bank and then Mehran Bank, concerning the criminal distribution of the people's money for political purposes (HRC 19/96). 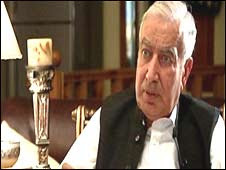 In this case, Lt General Naseerullah Babar filed an affidavit in court supported by copies of various documents and a photocopy of a letter dated June 7, 1994, addressed by Durrani to the then prime minister, Benazir Bhutto, who, during her second term in office, appointed him as her ambassador to Germany. In January 1992 USD 20,000 was sold @ 26.50 and 5,30,000 was credited to the account. Thereafter all debits: "Arshi c/o Gen. Baig (sic.) 2,90,000; Cash paid to Gen. Shab 2,40,000; Cash Friends 1,00,000 [Aslam Beg's organization, FRIENDS, Foundation for Research on National Development and Security]; Cash TT to Yamin to pay Gen. Shab 3,00,000; Cash TT to Yamin Habib 12,00,000 ; Cash Friends 1,00,000 ; Cash Friends 1,00,000 ; Cash paid through YH 10,00,000 ; Cash Friends TT to Salim Khan 2,00,000 ; Cash 1,00,000 ; Cash Towards Friends 5,00,000 ; Cash Asif Shah for Benglow 35,000 ; Cash Friends 1,00,000 ; Cash Friends 1,00,000 ; Cash TT through Yamin for Friends 1,00.000 ; Cash paid to Fakhruddin G. Ebrahim 2,00,000 [he confirms having received the money from General Beg as fees and expenses for defending him in the contempt of court charge brought against him - PLD 1993 SC310] ; Cash paid through TT to Yamin for Friends ; Cash paid to Fakhruddin G Ebrahim 1,28,640 [he confirms receipt for fees/expenses for contempt case] ; Cash Guards at 11-A 10,500 ; Cash TT for USD 240,000 Fav. Riaz Malik to City Bank (sic.) New York 68,76,000 ; Cash Friends 1,00,000; Cash Guards at 11-A 10,500 ; Cash Mjr. Kiyani 10,000; Cash mobile phone for Col. Mashadi 28,911 ; Cash TT fav. Qazi Iqbal and M Guddul 3,00,000 ; Cash Mjr. Kiyani 10,000 ; Cash TT to Peshawar 3,00,000 ; Cash deposited at Karachi A/C EC [Election Commission] 3,00,000 ; Cash Guards 24,000 ; Cash TT to Quetta 7,00,000 ; Cash mobile bill of Col. Mashadi 3,237 ; Cash TT to Peshawar Br. 4,00,000 ; Cash deposited at Karachi Br. 4,00,000 ; Cash Guards 11,520 ; Cash TT to Peshawar for EC 2,00,000 ; Cash TT to Quetta for EC 2,00,000 ; Cash Guards 5,760 ; Cash Mjr. Kiyani 5,000 ; Cash A/C Guards 8,640 ; Cash th. YH 2,00,000 ; Cash A/C Guards 5,760 ; Cash TT to Salim Khan 1,00,000." Ali Akbar Nizamani Rs 0.3 million. million - 19/3/94 Rs 1.92 million." HOW ELECTIONS ARE RIGGED & ELECTED GOVERNMENT ARE TOPPLED IN PAKISTAN? DAWN News TV Investigation Report with Masood Sharif – 6th January 2008 http://www.sharifpost.com/2008/01/06/dawn-news-tv-investigation-report/ A general election was held in Pakistan on 18 February 2008, after being postponed from 8 January 2008. The original date was intended to elect members of the National Assembly of Pakistan, the lower house of the Majlis-e-Shoora (the nation’s parliament). This DAWN News TV Investigation Report was aired just before that election and features people who have affected past elections and Pakistan’s democratic process in many ways including General Ali Kuli Khan Khattak, General Hamid Gul, Maj (Retd) Masood Sharif Khan Khattak, General Roedad Khan, Air Marshall Asghar Khan, Brig Imtiaz Ahmed, Maj Aamir and more. One of the main topics is Midnight Jackals, an operation conducted by the Intelligence Bureau to thwart an attempt to overthrow the democratically elected government of Benazir Bhutto. Other topics include the rigging of elections, involvement of the Pakistan Army in democracy and elections, intelligence agencies involvement in elections and democracy and more. A general election was held in Pakistan on 18 February 2008, after being postponed from 8 January 2008. The original date was intended to elect members of the National Assembly of Pakistan, the lower house of the Majlis-e-Shoora (the nation’s parliament). This DAWN News TV Investigation Report was aired just before that election and features people who have affected past elections and Pakistan’s democratic process in many ways including General Ali Kuli Khan Khattak, General Hamid Gul, Maj (Retd) Masood Sharif Khan Khattak, General Roedad Khan, Air Marshall Asghar Khan, Brig Imtiaz Ahmed, Maj Aamir and more. ISLAMABAD, March 18: Jamaat-i-Islami chief Qazi Hussain Ahmed has revealed that Osama bin Laden had offered to buy loyalties of legislators to see Mian Nawaz Sharif as prime minister. In an interview appearing in the magazine of an Urdu newspaper on Sunday, Qazi Hussain Ahmed said that Osama had visited the JI headquarters Mansoora and wanted to strike an agreement with the Jamaat but the suggestion was declined by him. Excerpts of the interview were published by the newspaper on Saturday. Qazi said he had met Osama several times in the past.However, the JI on Saturday clarified that meetings between the JI amir and Osama in Peshawar and Lahore were held in days when the Al Qaeda leader was staying in Peshawar. Recalling political events that took place when Mr Sharif’s Pakistan Muslim League and JI were components of the then Islami Jamhoori Ittehad, Qazi said Osama was a big supporter of IJI and Nawaz Sharif and wanted to see him Pakistan’s prime minister. I read this headline on, THE NEWS website, Tension between Zardari, Shahbaz mounts over jailed chief editor of The Frontier Post''. This makes no sense that Rehmat Shah Afridi is still in prison, I was expecting from ANP Govt in pukhtoonistan to react on this issue but I don't understand muteness of ANP leadership, although on ANP web site I did send a message to Chief Minister, I would like to ask all the writers on this forum to send messages to CM on the following website of ANP(http://www.awaminationalparty.org/news/)and express your solidarity with The Frontier Post Chief Mr. Afridi who is in prison because he was punished for expressing his views and he was educating Pakhtuns through his newspaper. His confinement is politically motivated. The drugs were planted on vehicle he was in. Similar to innumerable judicial murders and crimes to suffocate voice of Pathans. The literate class of people in Pakistan is the only hope, which can place a check & balance on these bureaucrats corrupt politicians. Its about time this class should pick their pens. Its really amazing that criminals and thugs involved in suicide attacks can be easily released in Pakistan but someone like Mr. Afridi stays in prison. Two face Nawaz Sharif and his brother who are responsible for declaring Pakistan a failed state ran out of country but did not have courage and principles to face jail, attacked Supreme Court and insulted judges but now wants to be champions of judiciary and free press. I agree with Mr. Asif Ali Zardari who bitterly asked: "Where are the champions of the press freedom today? Rehmat Shah Afridi was arrested and booked in a fake drug smuggling case on political grounds. He spent nine years in jail just for writing the truth and now he is seriously ill but some people still want to take their revenge. "Champions of the press freedom should be ashamed of themselves that for nine years some one in their ranks is in prison but they are not saying a word. Rehmat Shah Afridi was punished because he disclosed that Nawaz Sharif received Rs. 150 crore from Osama bin Ladin in the Green Palace Hotel, Madina, with the pledge that the amount would be used for furthering the cause of Jihad in Afghanistan and helping the Mujahideen and exposing the deeds of former prime minister Nawaz Sharif. Instead he (Nawaz) put the whole amount in his pocket. Nawaz Sharif got annoyed with Afridi when he was chief minister of Punjab in 1986.Frontier Post Chief disclosed in his newspaper that Nawaze sold the commercial land between UCH and Kalma Chowk in Lahore to his relatives for meager Rs. 400 per marla.